11. 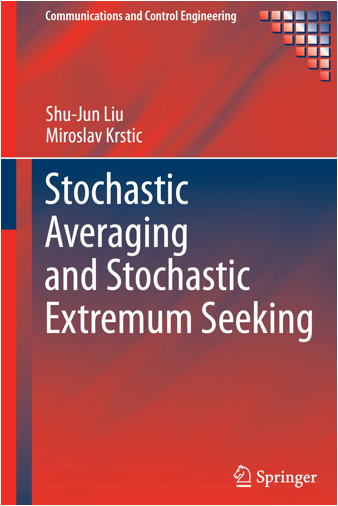 Newton-based Stochastic Extremum Seeking. The design of algorithms for non-cooperative/adversarial games is described. The analysis of their convergence to Nash equilibria is provided. The algorithms are illustrated on models of economic competition and on problems of the deployment of teams of robotic vehicles. Bacterial locomotion, such as chemotaxis in E. coli, is explored with the aim of identifying two simple feedback laws for climbing nutrient gradients. Stochastic extremum seeking is shown to be a biologically plausible interpretation for chemotaxis. For the same chemotaxis-inspired stochastic feedback laws, the book also provides a detailed analysis of convergence for models of nonholonomic robotic vehicles operating in GPS-denied environments.